Transport Dimensions: 186" x 90" x 83"
We are offering a wide array of Single Phase Air Compressors. These Single Phase Air Compressors are known for their smooth functioning and excellent performance. We keep the various demands and requirements of the clients in our mind while developing the range. These Single Phase Air Compressors require low maintenance. An air compressor is a device that converts power (usually from an electric motor, a diesel engine or a gasoline engine) into kinetic energy by compressing and pressurizing air, which, on command, can be released in quick bursts. 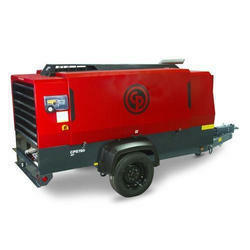 We provide wide range of air compressors for all your needs. Ingersoll Rand has the capability to supply standard and slightly engineered rotary, oil-flooded and oil-free, as well as standard reciprocating compressors mounted on skid (or inside a container), offering a “plug and play solution. 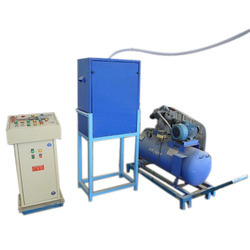 Matching up with the ever increasing requirements of the customers, our company is engaged in providing Industrial Air Compressor.